Toilets are the single most important plumbing appliance in your home, for obvious reasons. 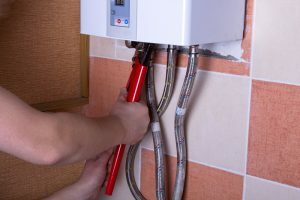 When they get clogged up, they can bring your household screeching to a halt, and while the simplest issues (i.e., clogs caused by human waste and toilet paper) can usually be covered by the use of a plunger and some good old-fashioned elbow grease, other causes require a professional plumber’s attention. Here in Waverly, IA, you have a reliable service on call to help, but we’ve found you can avoid a clogged toilet simply by monitoring what you flush down it during the day. Here are 3 causes of clogged toilets that should watch out for. How Does UV Water Disinfection Work? If you think back to high school science class, you can likely recall the basics of UV (or ultraviolet light), which lies beyond our ability to see, but which can affect us nonetheless. In sunlight, it causes our skin to tan or burn. In smaller amounts, such as those present in a UV light bulb, it can interact with the detergent in our laundry to make white clothes glow in the dark. (It’s how you get that effect at amusement parks or rock concerts). But UV light can serve a far more important role than momentary amusement. When applied properly, it can help make the water in your Hudson, IA home a whole lot cleaner and safer. All you need is a UV water disinfection system in your home. Posted in Plumbing | Comments Off on How Does UV Water Disinfection Work? It’s still winter here in Cedar Falls, IA and that means our heaters are currently keeping our homes warm and cozy. 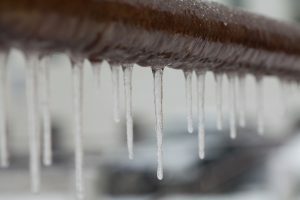 But the thaw will be here before you know it and soon enough, temperatures will be high enough to demand your air conditioner. Now is the time to prep your air conditioner for regular service. It gives you plenty of flexibility to adjust things according to your schedule, and in case there are any surprises, you have plenty of time to deal with them before you have need of your system. Here’s a few tips to help you out. Your kitchen sink is the sight of a lot of food activity, and with the Super Bowl on its way, you might be using it a lot to prepare food for your guests. Whatever your food-based plans are, however, they would benefit from a little care and foresight as far as what you pour down your drain. The wrong foods or liquids can damage your garbage disposal or clog up your pipes, forcing you to call a plumber when you should be enjoying the game. If you watch what you pour down the drain this winter, you can avoid an awful lot of hassle. Here’s a quick list of some foods you should dispose of in other ways.